Angie Thomas’s The Hate U Give, published two years ago and now being filmed, exploded like a rocket in the world of black Young Adult writing. She makes the same impact in this current novel, whose pages also fizz along with occasional detonations, mostly verbal, forever hanging in the air. Its main character, sixteen-year-old Bri, is a native of downtown America where only a relatively few black children make it to the one superior secondary school in an otherwise racially divided area. Bri herself is bright enough to have won a place there but she has attitude. A troubled childhood which included a murdered father and a temporarily drug-taking mother does not help here. But Bri was also born feisty, and this quality is best expressed in her huge talent in rapping- a skill we are told in an afterword that is shared by the author herself. 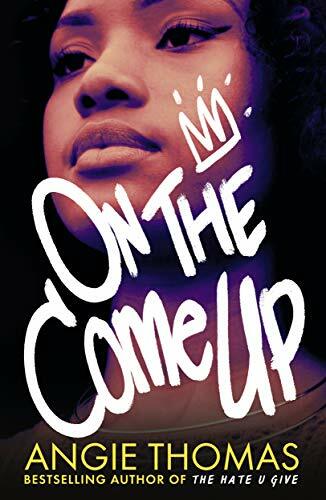 Making it as a teenage rapper also puts Bri at risk from being used by unscrupulous middle men, anxious to exaggerate her already radical view of the society in which she lives for any extra publicity, not to say notoriety, coming in its wake. She also has to cope with falling in love, poor grades, extreme poverty and fears that her mother may slip back into bad habits. All this is thrillingly recounted in a very particular demotic style of language. Words and phrases unfamiliar to many never leave their ultimate meaning in any doubt, so great is the energy forcing them along. Frequent swearing is more instantly recognisable. This is a long novel and occasionally repetitive. But its climax is abundantly worth waiting for, and its picture of a generally downtrodden community finding strength within itself is convincing as well as heartening. At only thirty years old, Angie Thomas has already achieved much and seems bound to go on to more successes. Her writing seems bound to grip many young readers of every colour; their parents could also well find themselves drawn into it too.